South Australia has everything to offer – relaxation, indulgence and beautiful scenery. It’s particularly famous for its wineries. South Australia is also a family friendly destination, thanks to its great variety of caravan parks – the perfect places to park your wheels while venturing off for a tipple or two in the vineyards! Pack the family in a campervan rental from Adelaide and head to one of these parks. Drive 40 kilometres from Adelaide to the heard of McLaren Vale and a magnificent stay awaits. McLaren Vale Lakeside Caravan Park is 38 acres of tranquil bush, with unspoiled scenic views. It’s also very close to some of the Fleurieu Peninsula’s best wineries and restaurants. Within the park, kids can entertain themselves with a swimming pool, tennis and volleyball courts. This place is a holiday park and a vineyard rolled into one! It’s a gorgeous spot for functions, including weddings, so you know your time here will be surrounded by stunning views. One of the unique things about this park is the owners allow people to stay for free for more than a month (and even earn some cash) in exchange for helping out with odd jobs around the park. 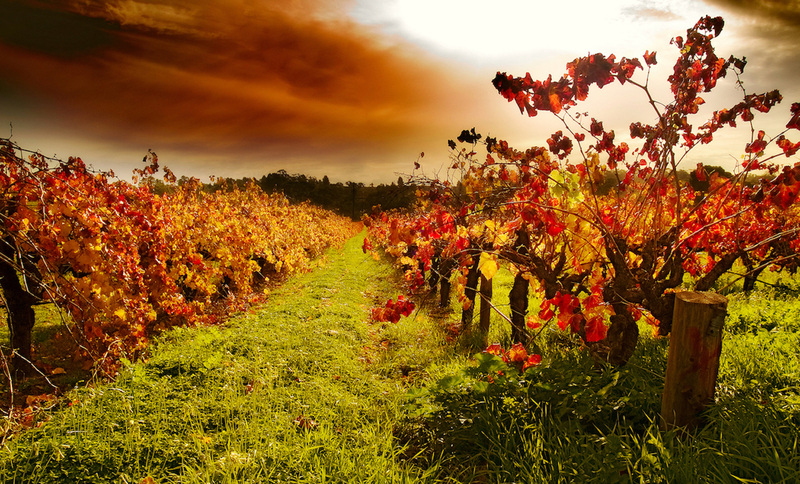 The Barossa Valley is easily the most famous wine region in South Australia. It’s a must visit for every wine lover. Just a few minutes from the town of Tanunda is Discovery Parks’ Barossa Valley Holiday and Caravan Park. This is a great place to base yourself to explore nearby wineries and landmarks. Couples can opt to stay in one of the Delux Safari tents in a private area of the park. Here you can enjoy luxuries like an outdoor lounge, heated pool and spa. Along the amount Pleasant Eden Valley Road is a comfortable park, where you can have peace and quiet. There are powered and unpowered sites with all the necessary amenities like toilets. It’s oval also makes it a perfect spot for children to play outdoors. Whether it’s cricket, footy, tennis or just flying a kite, the options are endless. This park is also pet friendly and just 15 minutes from some of the Barossa Valley’s best wineries and scenic drives. Relax and unwind in this park, set in the picture perfect Clare Valley. The natural beauty of the Clare Valley region is stunning. The region is also home more than 40 wineries. At Leasingham Cabin and Caravan Park, you’re close to quaint villages which are linked by the ‘Riesling Trail’. It’s a 32km stretch of gorgeous towns, wineries and restaurants. You can easily drive or cycle the trail. At the end of the day, relax at the park with activities and quality time with the family.